In Sudan, FGM crosses religious and ethnic lines. It is practiced by both Muslims and Christians. The country has made significant progress in opening up public discussion on FGM, changing attitudes towards the practice and garnering support for its abandonment. Government, community and NGO efforts and initiatives have been integral in promoting these changes, as has incorporation of FGM discussions in a broad learning and awareness-raising package. Nevertheless, while important steps have been taken, more can be done at a local level to promote widespread abandonment of FGM. Whilst Sudan is a predominantly Muslim country, FGM is also practised among Catholic and other Christian communities. 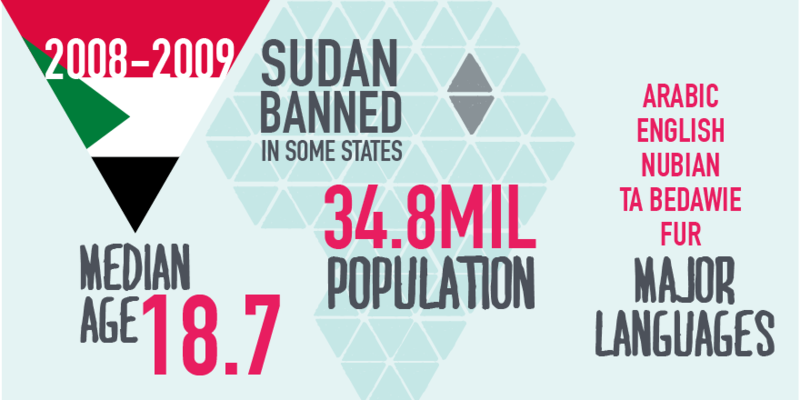 UNICEF’s 2013 report shows that approximately 12.1 million girls and women have undergone FGM in Sudan. There is also a trend towards medicalisation; approximately 77% of FGM practiced is performed by health personnel (Doctors, Nurses, Mid-wives and other health workers) and 20% by traditional practitioners. The National Strategy for the Abandonment of FGM/C in One Generation (2008-2018) was incorporated into the Government’s Five Year National Strategic Plan for Childhood for 2007-2011. Sudan has not signed or ratified the Convention on the Elimination of Discrimination Against Women. The Convention on the Rights of the Child was signed in 2008; however it has not been ratified. Nationally, there have been several attempts to criminalise all forms of FGM. In 2008 the practice was included in criminal law, including national public health law of 2007. However the sections banning FGM were deleted by Parliament before it passed both pieces of legislation. The existing national laws criminalise the performance of all types of FGM except type 1 (Sunna). The Government of Sudan designed and launched a national communication campaign in 2008 - Saleema, an Arabic word meaning ‘whole, undamaged, unharmed, and complete’. This was chosen to describe the uncut female. The campaign profiles FGM within a broader framework of child protection and gender equality. In July 2009, Gedaref State also passed a law banning FGM. FGM abandonment has been included in a number of national policies and acts including The Government’s Population Policy (2002) and The Medical Council Resolution No. 366 (2003) that prohibits doctors from practising any form of FGM, The Women’s Empowerment Policy (2007) and Resolution No. 29 by the National Assembly (2007) that calls for legislation banning FGM. Political and religious leaders, with the support of medical doctors and British colonial officials, initiated the first efforts to promote the abandonment of FGM in the Sudan during the 1930s. But it was not until the late 1970s that a social movement to end the practice took form, largely driven by local NGOs and motivated by individual cases of girls who had died while being cut. Most of the groups emphasised the health hazards and medical risks of FGM and the impact of their activities was limited. As civil society organisations became involved and drew attention to the dangers of FGM, the Government of the Sudan began to show greater interest in the subject and hosted a number of regional conferences that framed FGM as a global issue (UNFPA-UNICEF 2012, Annual Report). UNICEF is supporting FGM health interventions in health facilities throughout Khartoum’s Ministry of Health Reproductive Health programmes. UNFPA supports the National Council for Child Welfare and supports advocacy working with religious leaders and the media. There are several coordination bodies in place including the Khartoum task group and FGM networks but they have limited funding to carry out activities. As a coordinating body, the Federal Ministry of Health heads a task force on FGM. It has also trained midwives. Information about protection against FGM is issued at the birth of every girl and incorporated into school curricula. In August 2016, The Girl Generation held its first social change communications training working in partnership with DFID Sudan, UNFPA and Afadh University for Women. 30 local NGOs and CBOs attended the training, which focused on grassroots sensitisation on FGM abandonment. This collaboration marked the beginning of more robust interventions in Sudan. Our efforts in 2017 will be to engage with key stakeholders, youth and grassroots organisations efforts to jointly contribute to end FGM activities in country.